Any one who talks "sound" and "timbre" talks Cees Piet. Cees is always playing around with all kinds of wood. 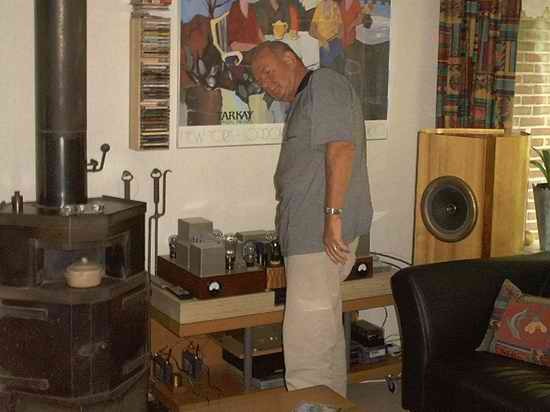 His speaker is made out of Sitka Spruce. This is wood being used by instrumental builders, like for violins. Together with Hans Kortenbach he has developed this speaker which is based on a totally different idea than most speakers: A speaker enclosure always resonates at the musics pace, despite its weight and/or construcion.. These are the unwanted vibrations in the enclosure. Instead of trying to eliminate these vibrations, which can not be done completely, they want these vibrations to participate in the reproduction process being done by the loudspeaker unit.To do this, they made the sides of the enclosure only 4mm thick and the baffle 7mm. The unit used is the KM30 by PHY-HP, its frame is made of pure bronze, as used in bells. In doing this the enclosure is a really light-weight!! To complete this philisophy, the speaker is lacquered in special lacquer for optimal stiffening etc..As you can see at the picture, the speaker is a real piece of wood-art! The preamp is built on a piece of copper which is bent at 90 degrees at the rear. Sides are made of mahogany and over the front an extra piece of beautiful quilted maple is placed. Even the knob for volume adjusting is made out of wood: Buxus.The copper plate is painted dark-red and the tube sockets are also made of wood. Yes, Cees is really into wood! The preamp is a choke loaded 4022A. Chokes are from Tribute, amorphous core. Coupling capacitors are Ultra Tone and resistors are 2 watt Tantalums. Powertransformer is made by Stoet and supply chokes are AE-Europe, 6-chamber. A BlackGate WKZ completes the supply. You can look at the schematic here! 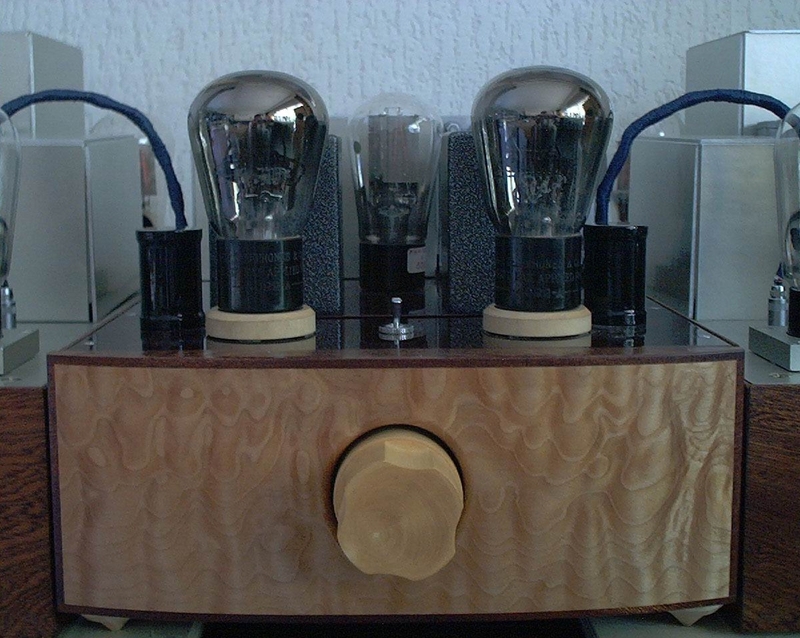 Two monoblocks are placed next to the pre-amp. These are also made from a copper deck with a mahogany surroundings. Power supply is from AE Europe, paper in oil capacitors are Dublier, which are unemployed as Cees has discovered the tonal qualities of BlackGate WKZ in the power supply! Power supply is for both driver and power tube apart. 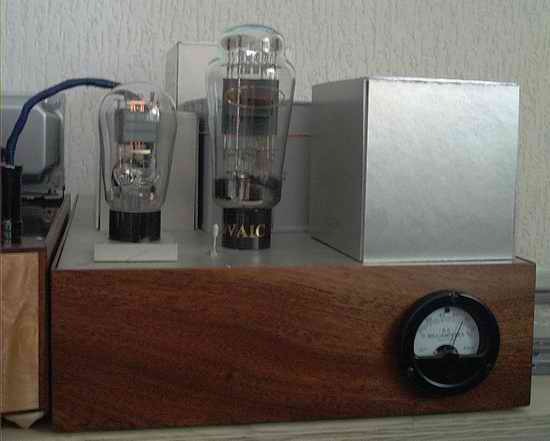 The driver, the Valvo Ca , has a RGN1064 mesh rectifier and is choke loaded (Lundahl) with a Ultra tone coupled to the power tube, which is the Vaic VV300B. The Vaic has the RGN 2004 mesh as rectifier and both supplies have WKZ as caps... The Vaic VV300B has a B+ of 400Volts at a 71mA bias, as can be seen at the pictures looking at the mA-meters. 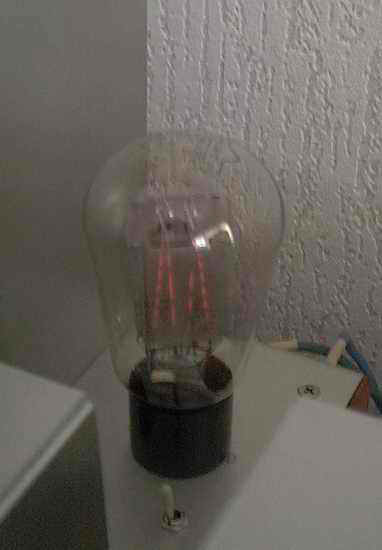 The Ca's filament is fed through a battery, a big one, I might add, since the Ca draws 1A at 4Volts... 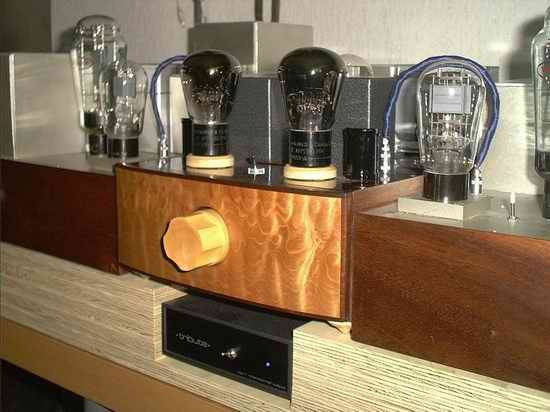 Thus are the monoblocks really silent! And that is remarkable since every amp which was before in Cees' house had a humm... The house of Cees was often referred at as "House of humm"..